Any taxable entity, which receives VAT-taxable services with a place of performance on the territory of the country where the VAT is payable by the recipient, is subject to obligatory VAT registration. 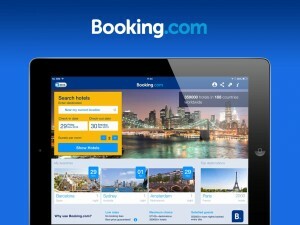 This includes all Bulgarian companies, which are not registered under VAT Act and pay a commission to Booking.com. We will refer to them as “unregistered hoteliers” below as the company owning Booking.com is a taxable entity, which is not residing on the territory of Bulgaria. The unregistered hotelier is obliged to apply for VAT registration no later than 7 days before the date on which the VAT becomes due. For each commission invoice, issued by Booking.com, the unregistered hotelier must issue a protocol under art.117, par 2 of the VAT Act, for self-accrual of VAT. The unregistered hotelier will not be allowed to use VAT credit right – neither for other deliveries, nor under the issued protocol under art.117, par 2 of VAT Act for the self-accrued VAT. This means that, if the commission amounts to BGN 100, the unregistered hotelier will self-accrue VAT of BGN 20 and will not be able to use it as VAT credit, i.e. the total commission expense will increase from BGN 100 to BGN 120. Thanks to Stefan for the idea for this article. This entry was posted in Taxes, VAT act and tagged booking.com, VAT. Bookmark the permalink.